You know #35 as a former Rookie of the Year, nine-time NBA All-Star—and two-time MVP of the NBA Finals that ended with the Golden State Warriors' decisive Game 4 win over the Cleveland Cavaliers. But Kevin Durant’s success reaches far beyond the basketball court. We spoke with the Golden State Warrior—who just signed another two-year deal with the Warriors that will pay him $30 million in the coming season—about his childhood, the best money decision he’s made and why there’s no such thing as a slam-dunk investment. You’ve talked a lot about the sacrifices your mom made for you and your brother, growing up. How has she influenced your approach to your life and career? Hard work! Plain and simple. It was so clear to me at a young age that if you didn’t get up every day and work till it was dark, you weren’t eating. So working hard and never cutting corners wasn’t even a question for me because we were starving. I’ll never forget seeing my mom before the sun came up leaving the house on a few hours sleep, over and over and over again. How did watching your mom struggle to support you both while working two jobs affect your own relationship with money? To this day, I still can’t believe the luxuries this game has afforded me. It’s almost embarrassing at times, but I understand it’s the market for my profession. I appreciate every moment and how lucky I am. Knowing how just a short time ago I had nothing has really been the leading motivation for me to have the right people work with me and help me manage my money. I want my kids and their kids to benefit from this time in my life and not ever have to go through what I went through. I’m also very driven to be as philanthropic as I can be. I don’t think I could enjoy my success without knowing I was doing all I could do to help others. What’s the best financial decision you’ve made so far—and why? Having the right people around me who I trust. And trusting my instincts and asking questions. You can’t learn and grow without leaning on others. What’s the biggest financial lesson you’ve learned? Nothing is a can’t-miss way to make money. There’s always a catch… Do your homework before investing or supporting a business or an idea. And save! Always keep building your savings because nothing in life is guaranteed. Ask more questions and trust yourself—just as I said before. But young Kevin had to learn those lessons for me to be who I am today and to be surrounded by the people I am with today. What do you hope to accomplish through your namesake charity foundation? To help as many underserved communities and children, especially through education, athletics and opportunity. It’s my real life’s work. 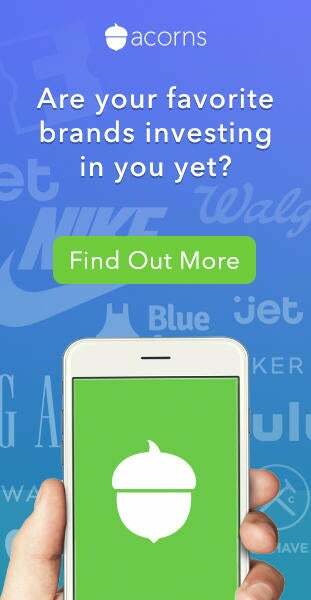 You own a stake in The Players’ Tribune, Tiger Beat, Postmates—and Acorns. What do you look for in the investments you pursue? Things I connect to and believe in—and great executive teams. The people I’m investing in is really the first indicator of whether it’s something I want to be a part of.